Gluten-free diets have been popular for many years in the mainstream population. Not just a weight-loss fad, people are beginning to avoid eating gluten because this substance provokes a good deal of unpleasant symptoms that can be easily avoided. Carbo-loading is a practice that is common among many athletes before a race. They do this to make sure that they have sufficient energy stores to sustain them during their endurance event. However, many athletes – such as men’s pro cycling team Garmin-Transitions, LPGA star Sarah-Jane Smith and the New Orleans Saints quarterback Drew Brees – are opting to follow a gluten-free lifestyle. What impact does this have on their training? Is this way of living – in actual fact – good for them? In this article, we’ll unpack these questions. Gluten lends dough a certain elasticity. This helps baked goods – such as bread and cake – to rise and keep its shape. The group of gluten proteins often leaves the final product with a chewy texture that is common to baked goods. The above three mentioned properties – plus the fact that it is relatively cheap – makes gluten in high demand in bakeries, pizzerias and restaurants alike. Why do people avoid gluten? 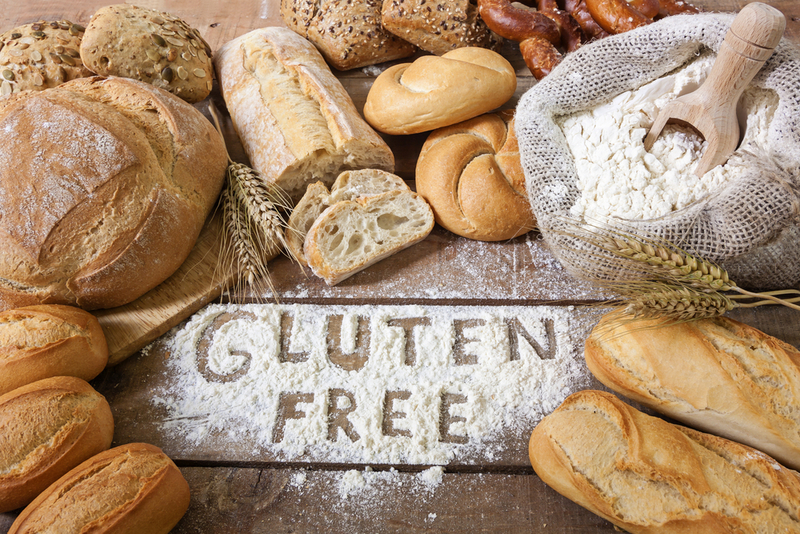 Avoiding gluten and adopting a gluten-free lifestyle has become trendy over the last couple of years. However, for some people, being gluten free is a health imperative as opposed to just a need to be nutritionally trendy. For example, people who suffer from Celiac Disease – which is an inflammatory autoimmune disease that is caused by both genetic and environmental factors – need to say away from gluten otherwise their health suffers immensely. Skin diseases, such as dermatitis. Other people who suffer from Irritable Bowel Syndrome (IBS) also tend to avoid gluten because eating these foods tends to aggravate the symptoms of IBS. People who are IBS sufferers find that taking probiotics helps to alleviate the symptoms of this disease. Quite a large number of athletes rely on carbo-loading to give them energy for an event. When training for an event and exercising athletes’ bodies use glycogen. The role of glycogen molecules is to function as long-term energy storage. These molecules are stored in the liver and muscle cells. However, this glycogen can be used up. This results in a possible drop in fitness performance as fatigue sets in. Before carbo-loading an athlete has to deplete their glycogen stores. This tricks the body into thinking there’s something wrong with its glycogen stores. The athlete’s body compensates by storing more when they carbo-load. Athletes do this by eating a low-carb diet for three to four days, then carbo-loading for three to four days. And how intensely they exercise. More often than not, athletes carbo-load with carbohydrates that are not low GI (glycaemic index) – such as white bread and pasta – which is high in gluten. This type of food releases a massive burst of energy into the athlete’s system and then sharply drops their energy levels. Athletes who follow a gluten-free lifestyle eat foods that are lower GI in nature. For example, instead of pasta they’ll eat gluten-free pasta or cauliflower rice. They’ll prefer to have sweet potato and pumpkin as opposed to their other higher GI alternatives. This means that they will have a more sustained energy release which will allow them to train harder for longer. Choosing to follow the gluten-free lifestyle and eat accordingly does not mean that athletes have to hang up their running shoes or other sports equipment that they use in their chosen sporting discipline. It just means that they have to re-think how they do things and make allowances for their lifestyle in terms of their chosen sporting profession.